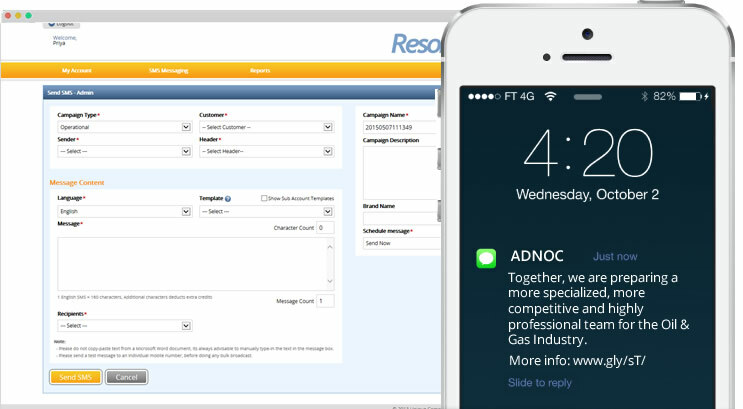 ADNOC chose Reson8 from Unique Computer Systems to enhance their in-house developed systems with text messaging capability and to provide fast and direct information to their employees. ADNOC specializes in the marketing and distribution of petroleum products within the United Arab Emirates and internationally. ADNOC Distribution has over 10,000 employees and has committed itself to providing support and information to them.